The more powerful pressure washers with pressure levels up to 4000psi can accomplish tasks that most cleaning equipment can't even touch, like stripping paint, degreasing heavy-duty equipment, and removing the most stubborn oil, dirt, grime, and soil residues from concrete, walkways, driveways, sidewalks, brick, building exteriors, and much more. Specially designed accessories can make any pressure cleaning job easier and more efficient. 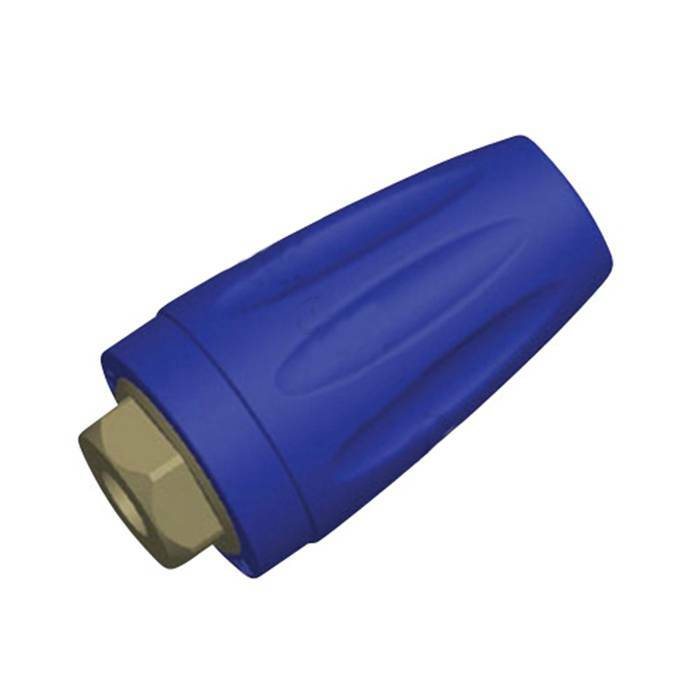 For paint stripping or barnacle removal we recommend adding a rotating nozzle to your system. The turbo rotating nozzle increases the blasting power by concentrating a zero degree stream of water into a 25 degree high rpm pattern. Water Cannon supplies to the pressure cleaning industry a full line of rotating nozzles from 2000psi to 7000psi. The exclusive design of the Turbo Nozzle 4000 eliminates start up impact and damage to the internal nozzle. Rotating nozzles are two times as effective as flat nozzles, so you can cut the time it takes to complete a job in half. In fact, you may save even more time, as using a rotating nozzle also eliminates shadowing so there is no need to double back. Lastly, high RPM spraying power in an adjustable 5 to 25 degree circle allows you to focus pressure for stubborn grime. Water Cannon recommends always using eye and face protection when operating a pressure washer and the rotating nozzle.